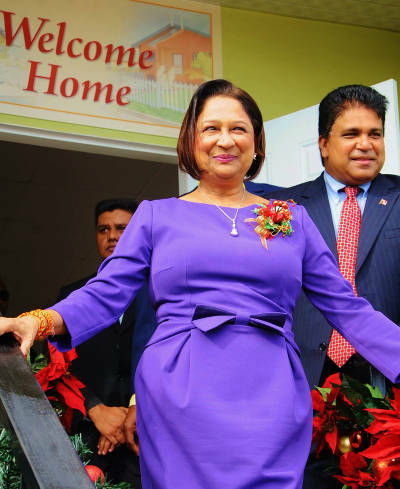 Voters looking to support the prime minister on September 7th might be astonished to discover that there is no party listed as “Kamla” on the ballot paper. Given the huge investment in marketing “Kamla”, a voter should be forgiven for assuming that “Kamla” was the newest party in town. Imagine the surprise when the ghosts of UNC, COP, TOP and NJAC jump out inside the polling booth. 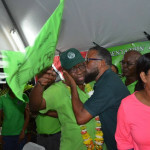 The PP is not simply a partnership that has fractured; it is partnership that has boiled down, like callaloo, to a political concentrate in a cauldron called Kamla. Every individual ingredient has simply melted away to the point of dissolution. To re-phrase Eric Williams’ famous declaration, inside this partnership there is no Mother UNC, no Mother COP, no Mother TOP, no Mother NJAC. There is only Mother Kamla. And, to emphasise the point, the cover of her manifesto and her daily barrage of ads are crafted to eliminate all traces of the parties of the 2010 People’s Partnership, including the once powerful UNC. Even today’s public meeting in Couva is promoted as an event by Kamla 2015. If this is not maximum power with a vengeance, it is hard to imagine what else could be. 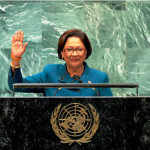 This re-casting of the PP in the image and likeness of Kamla probably has as much to do with the polls that have repeatedly identified Persad-Bissessar as the Partnership’s strongest asset—as if, in the leader-obsessed culture of Caribbean politics, this is not an ordinary political reality. It may also have to do with the resort to political strategies borrowed from a far different political environment. The T&T general election and the US Presidential election are two completely different animals. In the United States, presidential campaign strategies are developed for elections that pit one candidate against another, as in Obama vs McCain. The entire campaign revolves around individuals—their character, their policies, their political records etc. By modeling the Kamla vs Rowley campaign after an Obama vs McCain campaign, the government’s political strategists are missing the key point of difference between the US Presidential system and the West Indian variant of the Westminster system. The US electoral system is not only about choosing presidential candidates; it is a multi-layered system that includes several elections and power structures, all the way up from the community level. At every level, different interests determine which way people go. This is why it is possible to have a Democrat in the White House and a Republican majority in Congress; or for people to vote one way at the local level and quite another at the national level. These are the checks and balances that are designed to keep leaders accountable. 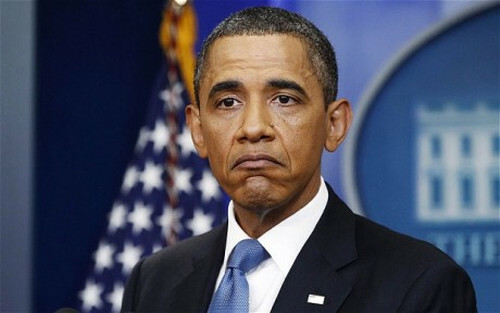 Photo: United States president Barack Obama. In this old British colony, the top-down political system is designed to protect the power at the top by providing guaranteed majorities in the House and the Senate. When, as occasionally happens, the system fails and the majority is lost, only then will the leader collapse. Until then, the power of the prime minister is almost absolute. What we have with the Kamla2015 campaign, therefore, is American style without the substance of American politics (as unhappy as Americans are with that, too). This is the kind of cultural confusion that have produced Naipaul’s mimic men and today’s mimic woman. For a season of unusual length, Campaign 2015 has been almost surreptitious. Today’s Kamla2015 public meeting in Couva comes a full ten weeks after the party’s May 26 campaign launch at Constantine Park, Macoya. 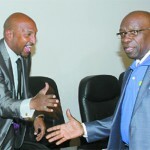 Within two days, the momentum was scuttled by the dramatic arrest of Jack Warner. For all of June and most of July, the PP campaign went underground and electronic as Warner commanded centrestage, bussin’ mark after mark and titillating town with one expose after another. Soap opera style, the nation tuned in to Warner’s weekly news conferences to see him release tapes and documents with jaw-dropping references to the prime minister’s work habits, her property dealings, the police finding of marijuana at her private residence, payments to various government figures by him and by business people… and so on. 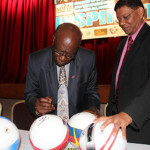 Warner was relentless until mid-July when Sunday Express reporter Anika Gumbs reproduced a series of cheques issued from the Chaguanas West UNC Constituency Office in a story headlined “Jack Paid Himself”. 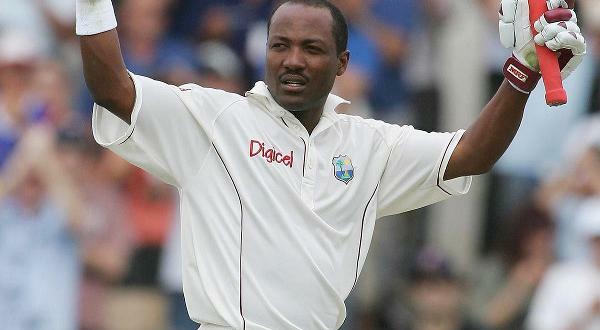 As if marking his quarry, Warner changed the tempo of his attack as the outlines of a UNC counter-strategy began to emerge. 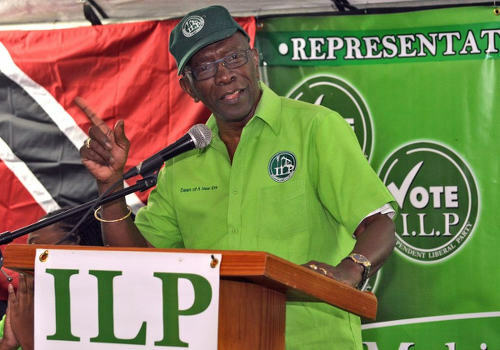 Like Warner, the PNM also gave the impression of marking the PP’s campaign, a possible reflection of the differences between their respective war chests. Perhaps guilt-stricken by an over-indulgence in political bacchanal, the public has begun calling on the parties to get serious and lift their campaigns to some higher plane. Finally, this weekend, a full two months after the election date was announced and with three weeks to Polling Day, the campaign seems ready to start. 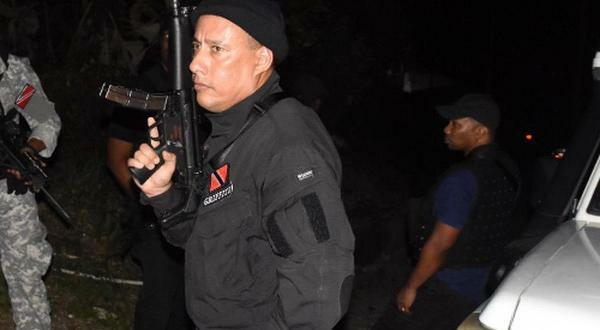 On the hustings, the campaign that had been shrunk to an orchestrated battle between Kamla and Rowley, is now set to take flight. Out on the platform and on the wide open streets, it will take a lot more than wordplay, camera angles, good lighting and prepared texts to convince the undecided voter. Much more than Kamla or Rowley, it will take the power of an entire team to communicate its grasp of the challenges facing the nation and to convince the electorate its ability to navigate T&T through the tougher times ahead. As we come to decision day 2015, there is no place for the politics of one man or one woman. What is needed is a team, gifted with competence and compassion and with the will to inspire us to our higher selves. If we don’t have it now, we’d better start building it next. Iz true what the ole ppl say eh: God doh love ugly! Gooding isn’t human you know, he’s just UNC! 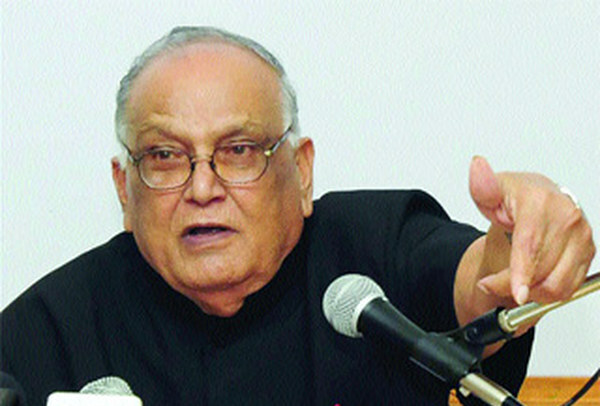 is it Cop, Unc, Njac or Top put all the capital letters together and you will see the kind of politics we dealing with…. My mother used to say, ugly people must have nice ways. Ian Gooding not nice. Pity. Ian Gooding I am wondering why you found it necessary to launch an ad hominem attack against Sunity, why invoke the memory of her dead husband? Nobody lives for ever but in our twilight years our thoughts should rightly turn to our legacy. You seem to be happy to be remembered as a sick, bitter and twisted individual, with little redeeming qualities. You’re a sad pathetic little man. More pathetic than anything else. But I feel the best way to handle people who can’t handle ideas but have to deal with people all the time is to ignore them. This guy Ian Gooding is a total clown. I saw a post from Wayne Chance speaking about what Gooding said to him, after he was supported by Keith Rowley, on his program and promised to work with him if elected. 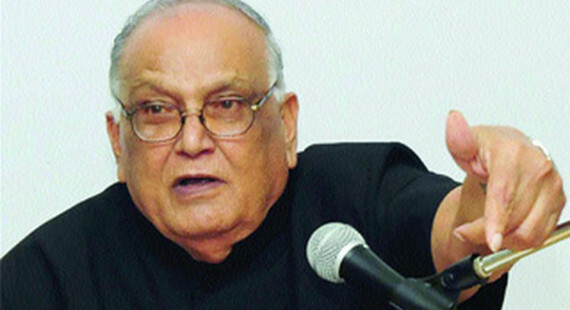 He told Chance that “he will have to sell his house and go back to crime, when Kamla win the election”. The guy is a clown and I make no apology for saying so. i couldnt believe what i was reading. Like how can one human being be so bitter?? That comment was straight from the pit. You dont have to like someone to be respectful…especially about death! smdh!! I really have to bite my tongue as moderator eh Cherisse… But some people push me to the limits and that comment was in poor taste. Ian himself is so insignificant he probably doesn’t even have a shadow. Someone’s stepping up their trolling game I see. Bring in the drug testers for him Cherisse Moe. There is no Doubt that Isha well and anika Gumbs are persons of high integrity , When Sunity was sweet talked she behaved like clothes clip. Now she has a double shame . Sunity has shrunk to insignificance ever sine her husband Lloyd died. Now a waste of a person, sorry to say. Really! There isn’t a party called Kamla? But I saw a Kamla manifesto! 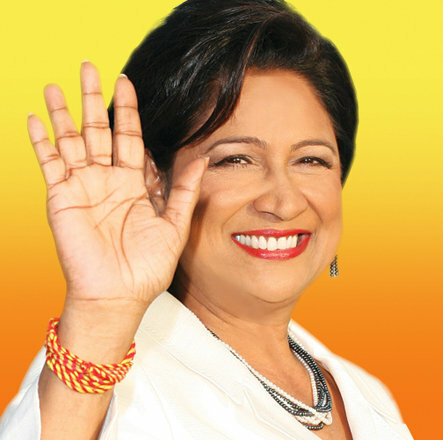 I have been seeing Kamla campaign meetings! …and there I was ready to put my mark against the Kamla party representative. …but wait, representatives aren’t important. Candidates are a last minute after-thought. Excellent , excellent article …. At last a newspaper report that makes absolute sense !!!! Sunity is mistaking the analytical capacity of the PP supporters to that of the PNM supporters who fully understand the balisier only. There may never be an ideal time Kendall and I know for sure trying to do that in the next 3 weeks would be adding fuel to the fire so to speak. There will be a calmer time. But is there ever a good time to discuss racism Cindy? These are dangerous times when incidents in the corridors of power have become known and worse, are being defended. Racism exists in T&T…it always has. Social media hasnt simply opened the door to allow us to see and hear how certain people truly think and feel. I believe a national discussion on race and race issues is necessary, just not now with so many ‘hackles raised’….but it should happen nonetheless. You may have a point Denice. It took me a while to realise that my circle of friends isn’t the most representative of typical Trinbagonian. Not so sure about the geographic location Lasana. My friends come from all over Trinidad and they do not exhibit any tendencies. I am not even sure that education is a major factor. Hmmmm. Would have to reflect on that a bit. But no, I’m not convinced that education is much of a factor either…. Very good analysis and on point. sunity always writes sound articles!! i concur with her!! Excellent article by Sunity!..very good analytical skills she maneuvered here..
A study would be very interesting. And a good starting point for dealing with the issues. I have seen racist prejudice and racism, and experienced it personally. I suspect one’s heritage and the circles you move in have a lot to do with whether you encounter racism or not…. Or maybe the geographic location of where you live and work. Honestly, I can’t remember ever encountering racist abuse in Trinidad. Even online. But I do see racism online quite a bit. Like some body did not read n understand the article. Well written Sunity. Point well taken great commentary. Very good article.My sentiments exactly Kamla 2015 is to confuse the public into not recognizing that the PP coalition has collasped. What is your point. Sunity are u not ashamed to be writing these rubbish. Learn to comprehend what you read, and maybe your response will be an intelligent one. What article are you reading as nonsense …… Read over the article and re -post a comprehensible comment. 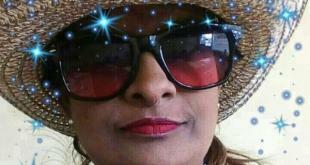 all yuh doh understand or what…..her name is Maharaj….how dare she criticise the chosen one….or chosen ones or anyone who is part of the UNC…or our saviors…or our whatever! This has also been the nastiest campaign that I can recall. I think that there will be long term damage to the nation’s psyche after September. No matter who wins, it is hard to see everyone taking the election results in good grace. Thank God we are largely a peaceful people. Well, racially motivated politics isn’t new. Not sure if it is getting worse or it is just that we are not getting better. Seems to me that I’ve heard a lot more of it under this incarnation of the UNC. One may argue that it’s because there were more elections during their term, or more social media presence. But to me, the racial tones have been far less subtle….. I wonder myself if there is more racism or is it just that social media has given greater voice to a vocal minority. The thing is though, I have rarely encountered racism in my day to day life. That may be because of my mixed heritage but even amongst my friends, there isn’t anything there. There is fertile grounds for research here. I can think of a number of ways to undertake same. It would have to be a double blind study at a minimum. I suspect that the results would be quite sobering.